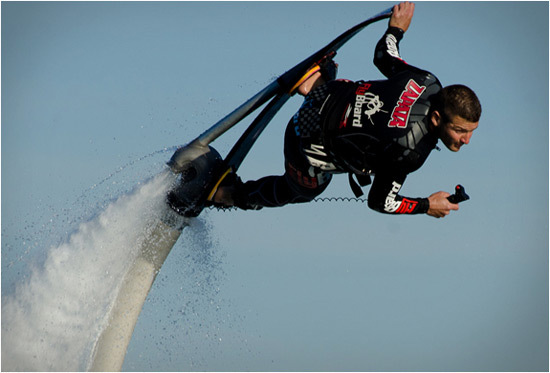 The one and only Franky Zapata and his Zapata Racing team have done it again. 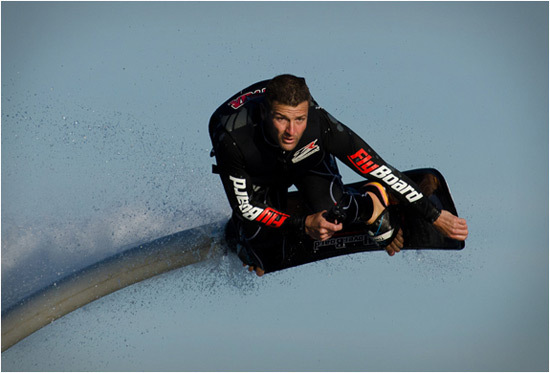 From the creator of the Flyboard, a jet pack-inspired rotating platform designed specifically for the water, champion jet-skier Franky Zapata reveals the Hoverboard. 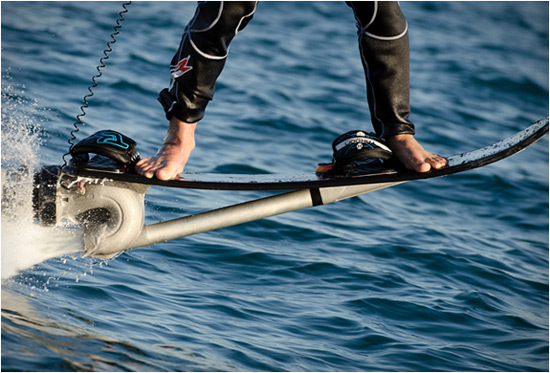 Using the same technology as its predecessor, but with a single slalom water ski, the new board is attached to a long hose with a single hydro-jet spewing water at a rate which shoots water out of the back propelling it forward at 23 miles per hour, as well as upward to a height of about 9 feet. 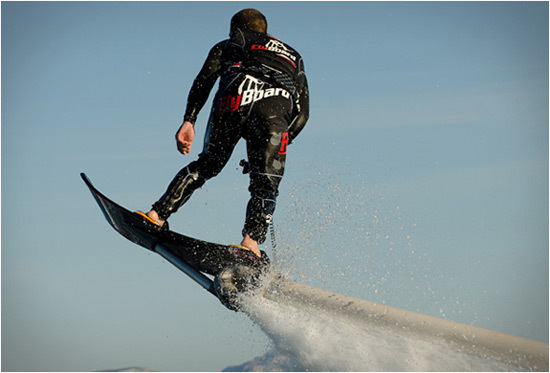 Depending on the horsepower of the PWC, the Hoverboard can travel at speeds of up to 15.5 mph, while soaring up to 16.5 ft above the water. 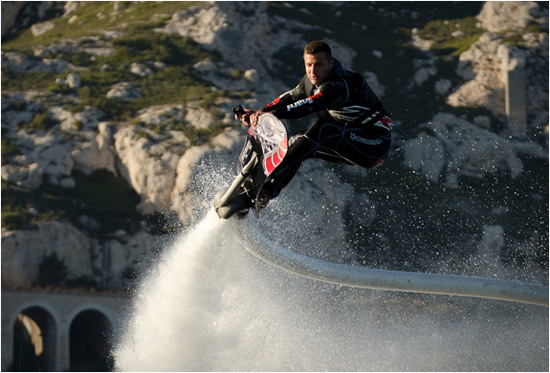 Riders also have the option of upgrading to an Electronic Management Kit (EMK), which features a hand held throttle that connects to the jet ski engine and gives the user 100 percent control of the speed and thrust of the Hoverboard. 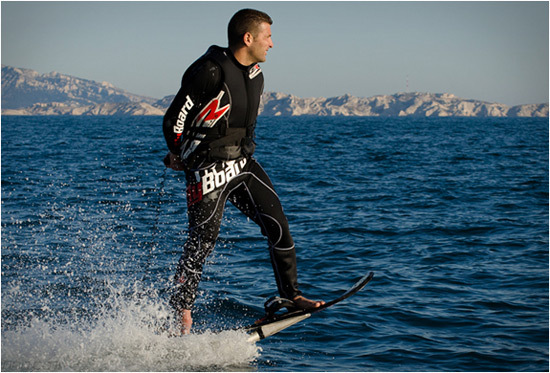 The Hoverboard can be used in the ocean, lakes or a large enough pond with a minimum depth of 13 ft, and is prohibited to be used in small bodies of water such as swimming pools. 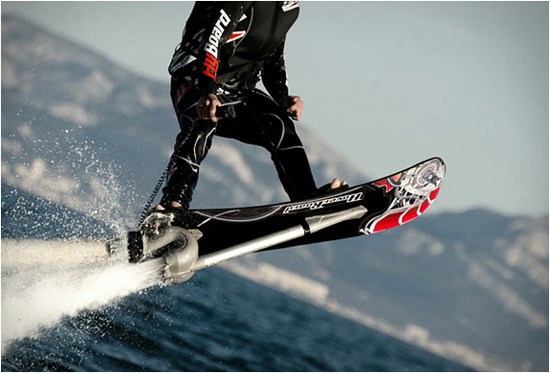 The suggest is that Hoverboard users should be at least 16 years of age before testing out the sport and it is also mandatory for all new riders to undertake a one hour lesson at an approved training center. 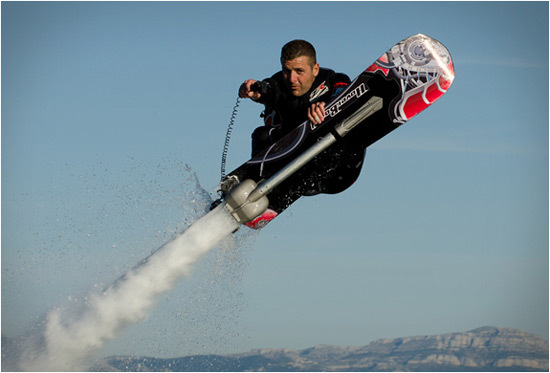 You just need $6,000 and you can get your hands on this new water-power beast!